The COST section that I show in each post is based on the prices that I pay. 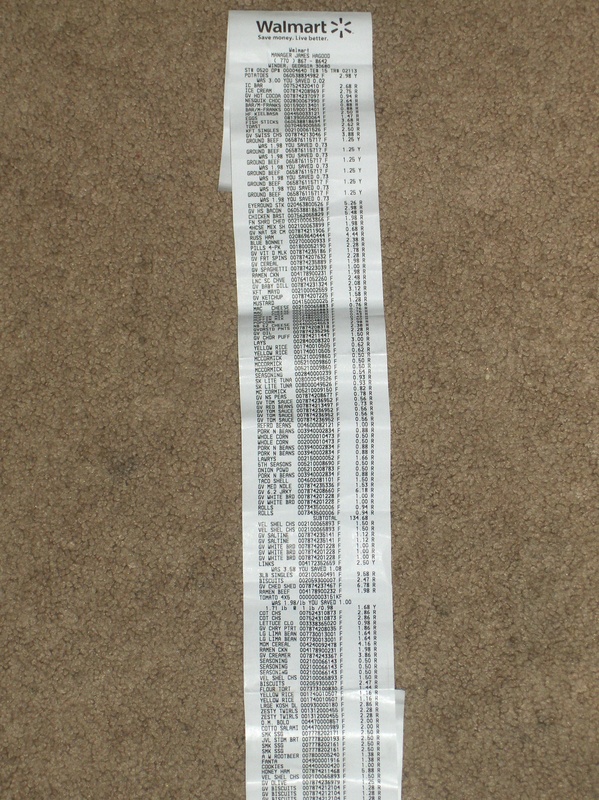 I shop at Walmart most of the time. Obviously prices will vary depending on where you shop and in what part of the country you live. Also if I give the price of something that will be used for more than just that recipe I have adjusted the total cost. For example an 18-pack of eggs cost $1.47, if the recipe calls for 2 eggs then I calculate the cost of those eggs @ $0.08 each. And in most cases I have used generic food products unless I specifically label an ingredient. For example, I use Velveeta brand cheese often and never buy the generic form so in recipes that Velveeta is used (and other name brand products), it’s specified as so. 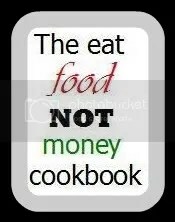 Welcome to The eat food NOT money Cookbook! I truly believe you can eat like kings without spending the kingdom’s fortune. I cooked professionally for 25 years and have found many shortcuts, tips and cheats. I’m big on experimenting and trying new recipes and absolutely adore the backs of food packages! I’ve gotten some of my favorite recipes off the backs of cans, bags and bottles. Visit as often as you’re hungry and I’ll be back to tempt you! And be sure and check out the tabs on the top of this page for some helpful tips! Since I can’t seem to make Google Friend Connect work here yet, just add me to your blogroll by URL or to your reader and follow me…..PLEASE! 🙂 You can also follow me on NetworkedBlogs on Facebook. The link to that is on the right hand side down below. Or you can become my fan on Facebook….which is also on the sidebar. Thank you!! 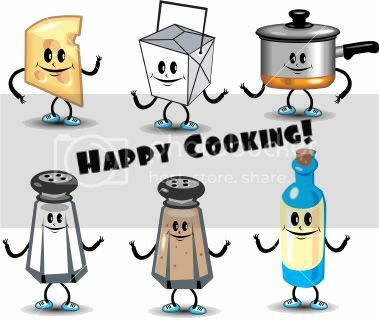 😀 Happy Cooking everyone! Search by ingredient, meal type, cooking method or search for tips.